Bali is a very popular tourist destination for travellers worldwide – with its beautiful resorts and interesting Balinese culture and history. 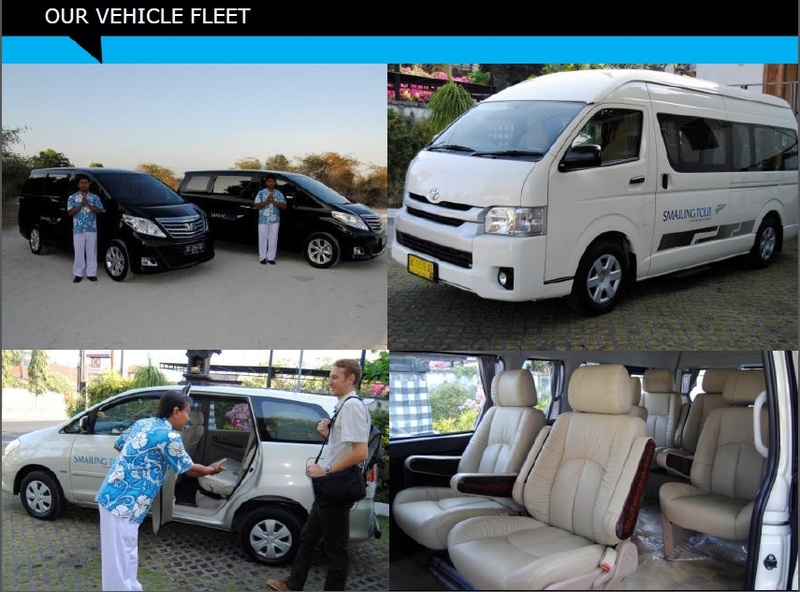 There are however a few things to take note of when travelling in Bali with tourist traps and scams like private hire drivers who are out to earn more from you by bringing you to shops/restaurants that pay them a commission. You will likely get ripped off at these places where they could sell you inferior products or give you a menu with significantly marked up prices. • ‪Tour‬ guide is available upon request. 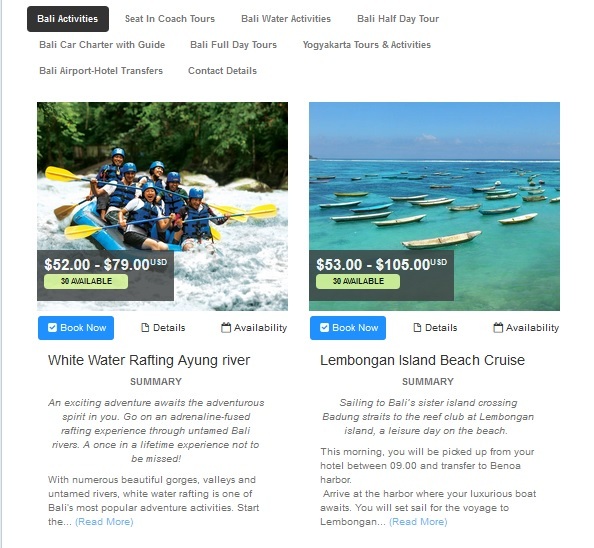 If you are travelling to Bali and not sure what to do besides chilling out by your private villa pool, Smailing DMC Facebook page offers a lot of options for you to choose from – targeted at the adventurous you who wants to do exciting activities like white water rafting. 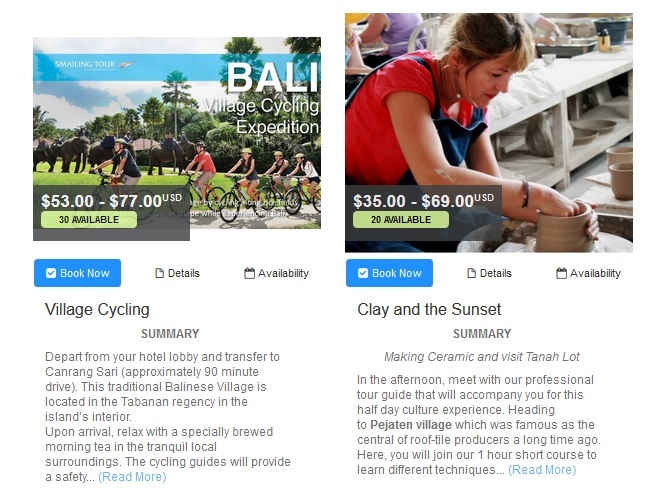 If you want something more relaxing or therapeutic, then there are tour options like a Bali village cycling expedition or pottery-making workshop where you can learn ancient techniques from the old experts in a traditional Balinese village. If you prefer something that gives you a glimpse of Balinese culture and history, you can check out the Uluwatu Sunset and Kecak Dance. On this tour, you will visit GWK‬ (‪Garuda Wisnu Kencana‬) ‪cultural‬ park with its ‪‎giant‬ ‎statue‬ of over 150 meters tall. Then you will continue the trip to ‪‎Uluwatu‬ Temple, an 11th century ‪‎architectural‬ marvel located on top of a steep rock at 300 meters above the Indian Ocean, then enjoy the great ‪#sunset‬ from the temple ‪‎cliff‬ while watching the famous Balinese dance ‪Kecak‬. 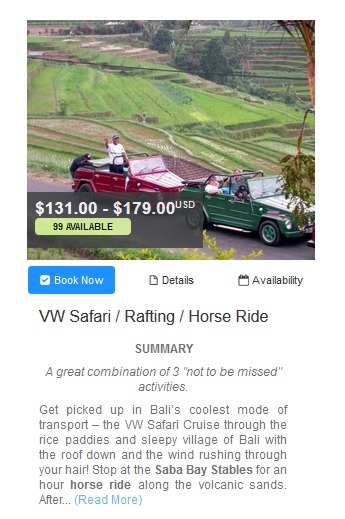 If you want to make full use of your day to experience the best that Smailing DMC has to offer – then check out this tour – 3 in 1 VW Safari/Rafting/Horse Ride tour! Smailing DMC also offers tours in Yogyakarta. 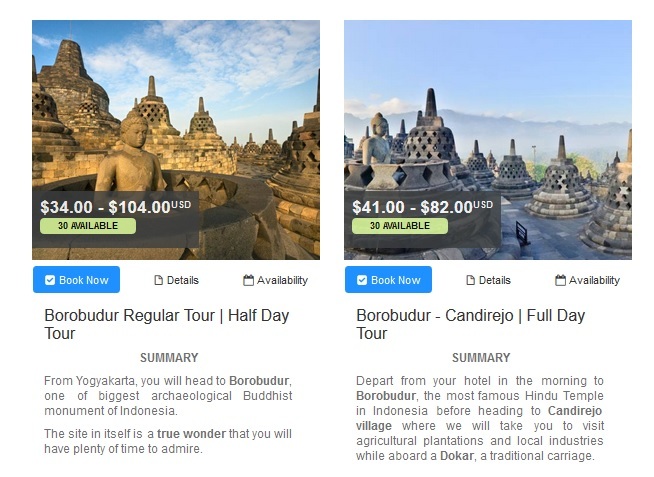 Borobudur is one of the most see sites at Yogyakarta and there are many variations of tours that combine Borobudur with other cultural sites and activities – all available for you to peruse at Smailing DMC Facebook page. If you want to see what else Yogyakarta has to offer besides Borobudur, Smailing DMC also has a few suggestions e.g. 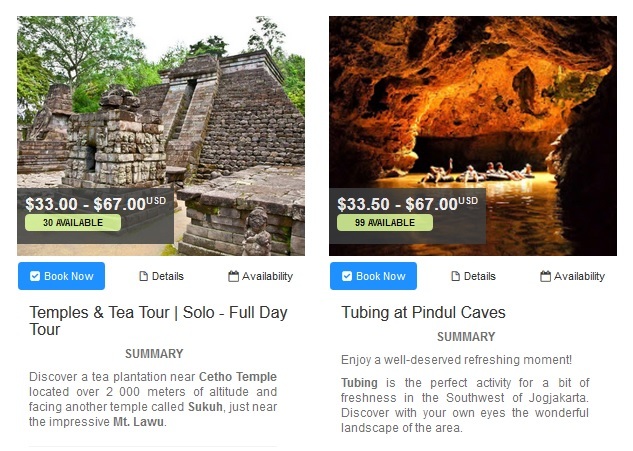 tubing at Pindul Caves – sounds very interesting! For an overview of tour services offered by Smailing DMC, check out this video below. 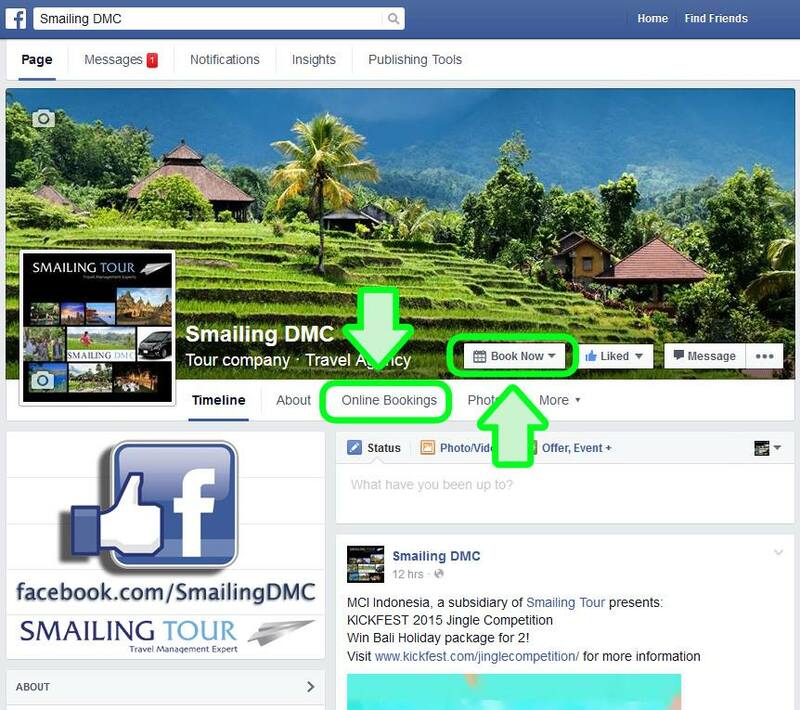 For more info about Smailing Tours, please contact them at +62 361 288224 (Indonesian number) or message them at their Facebook page: https://www.facebook.com/smailingdmc/ – they usually reply quite fast.